“I think every little kid&apos;s dream is to be on a team and compete in college,” said Jaycie Phelps, a 1996 Olympic gold medalist in the sport. Young athletes in many disciplines dream of competing at a higher level. In Texas, a lot of them are gymnasts. Streeter runs the Metroplex Challenge, a Fort Worth-based meet that combines a day of club competition for youthful competitors with a quad meet that features top collegiate programs. 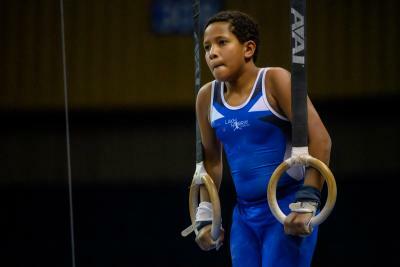 When aspiring gymnasts come to watch that meet or April’s championships, he feels they can channel the motivation they acquire into achievable goals. An athlete who won collegiate national titles at Oklahoma before medaling at the Olympics (a normal progression on the men’s side of the sport) suggested kids should be inspired by what they see rather than intimidated. Some children will come to watch the NCAA championships having never competed in gymnastics. 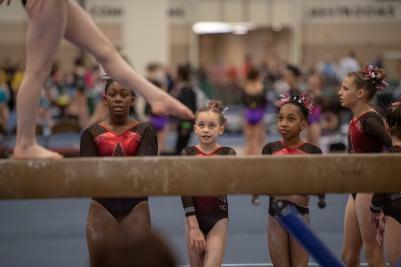 “I always tell people, look, even if you know nothing about gymnastics and you want to have a fun new experience and get out of your comfort zone, go see a gymnastics meet, because you&apos;ll be amazed by it,” said Horton. 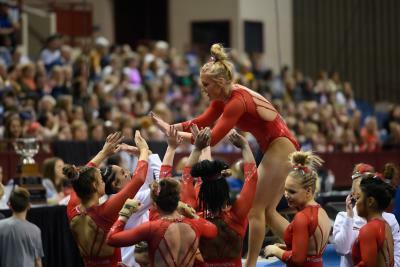 Part of the appeal of collegiate gymnastics meets involves the high-energy atmosphere and observing the passion of the participants. That experience has the potential to get young observers wondering what it might be like if they themselves were the ones exchanging high fives on the Convention Center floor. One place they might go is the NCAA championship meet at the Fort Worth Convention Center this April, or in the soon-to-open Dickie’s Arena through 2022. In 2019, perhaps they’ll attend as a spectator. But someday, maybe they’ll get their own chances to be the ones people come to see. 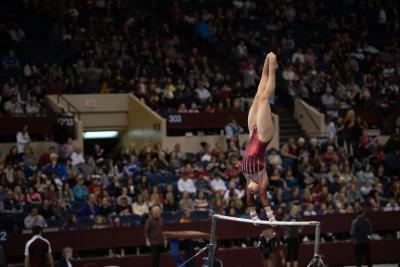 The Fort Worth Convention Center hosts the National Collegiate Women&apos;s Gymnastics Championship April 19-20, 2019. Join us in Fort Worth April 19-20, 2019! Single Session tickets start at $21 and General Admission All-Session at $55.